Now back to the colorful world! 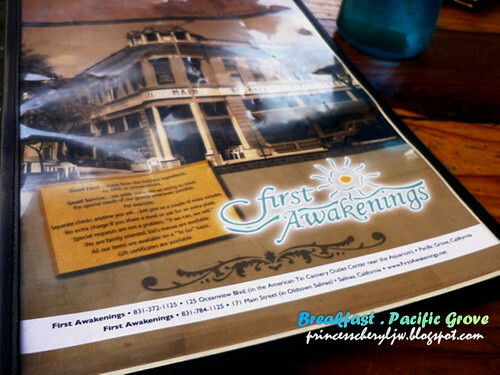 First Awakenings, once voted for the best place for breakfast in Monterey County. It's still very popular, I should say it's all the while that popular, because we had to queue and wait for our numbers to be called. 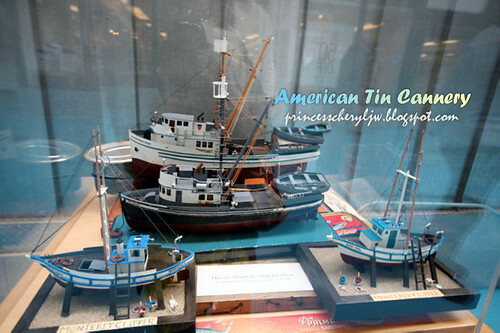 I took a quick tour around, found some nice shops which I can do shopping (it's in the American Tin Cannery outlet Center) but I decided not to do shopping first since I have plenty of time in the next 2 weeks. This place has both indoor and outdoor seating. 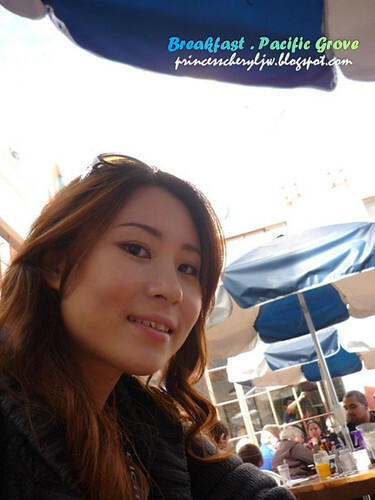 Of course in a great weather like this (there was a lot of rain for Spring this year, so everyone longed for a sunny day), we should enjoy the sunny breeze to the max. 15 minutes later, we got our table. 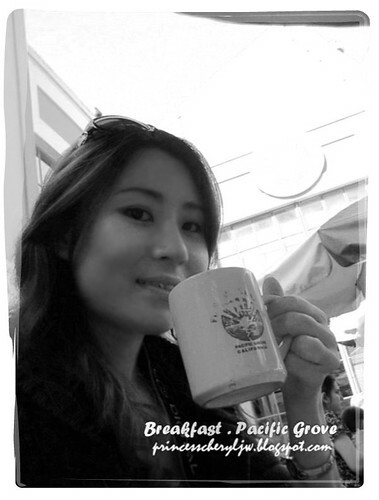 They have another restaurant in Salinas. 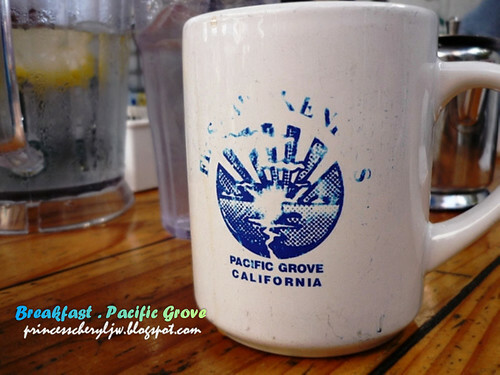 Map below for this one in Pacific Grove. 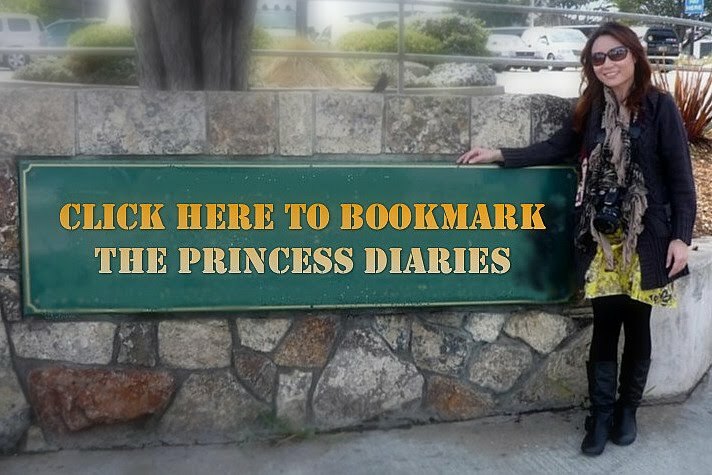 Words are incredibly small here. 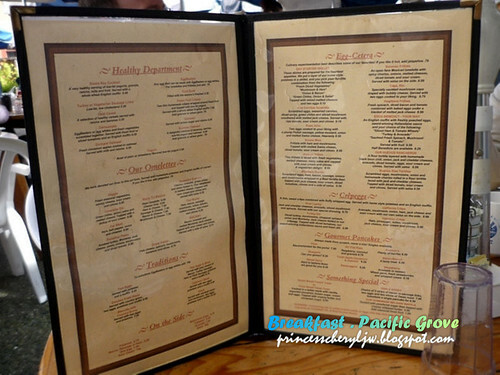 You can actually download the menu here. 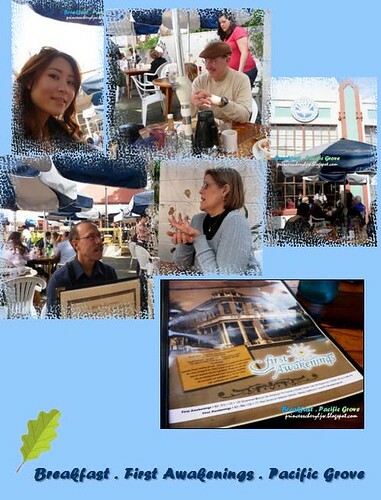 Foods that we had... I hope I didn't remember wrongly. 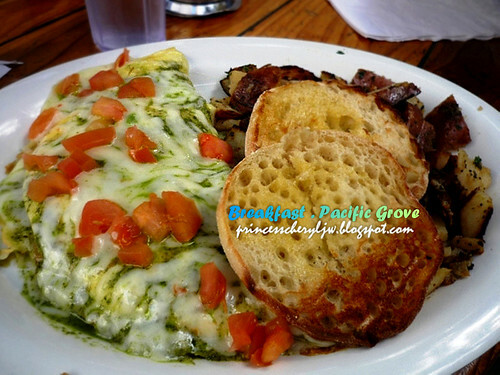 Smoked turkey, Monterey Jack cheese, pesto, onions, mushrooms and diced tomato. Chorizo, avocado, green chiles and onion folded in, then smothered in melted cheese. 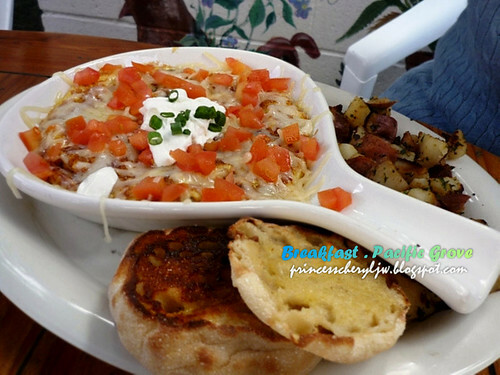 Capped with sour cream and chives and served with salsa. 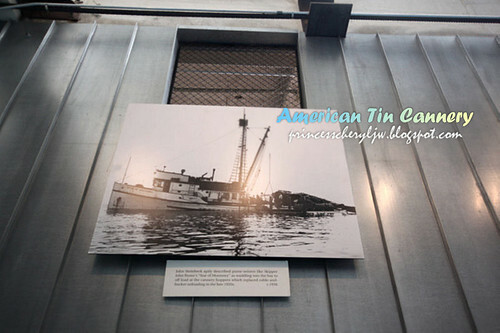 A little bit more about the American Tin Cannery. 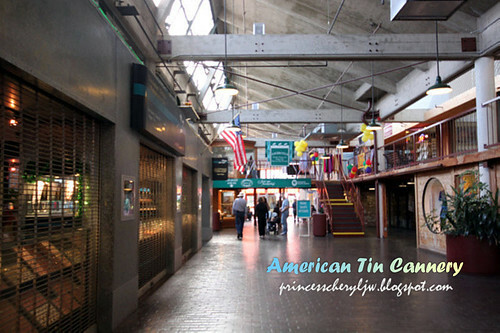 The American Tin Cannery is a unique retail and entertainment center, located in the original American Can Company built in 1927. 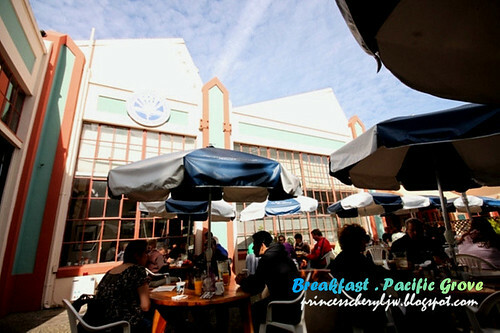 Linking Cannery Row’s past and present, the spacious indoor setting features a variety of outlet and specialty shops, restaurants and entertainment, including black light miniature golf. Shop Bass, Izod, Nine West, Pendleton and Reebok/Rockport outlet stores. 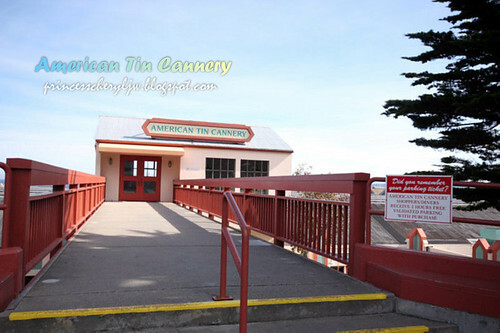 The American Tin Cannery is located on the rocky shores of the Monterey Bay National Marine Sanctuary, and one block from the Aquarium. Convenient parking makes shopping a breeze in this oceanfront complex. 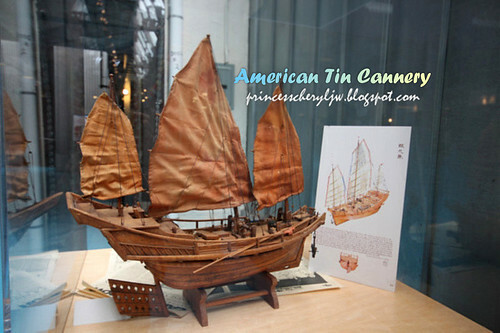 Inside the place itself, you'll get to see a lot of boats and ship models, and also knowing more about the history of Cannery Row and the areas nearby. 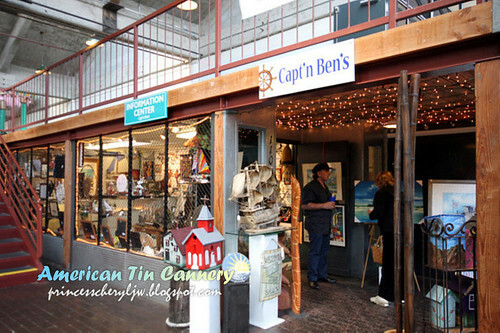 Also not forgetting, Cannery Row is the living backdrop of John Steinbeck's novel Cannery Row. 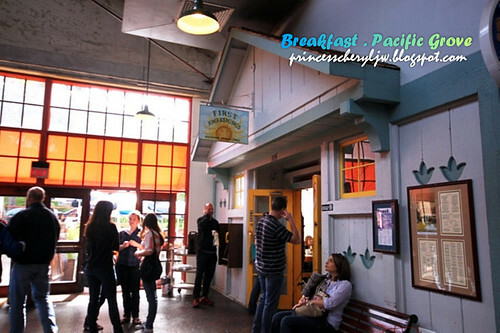 This area is now sometimes referred to as "Steinbeck Country" as most of his early work dealt with subjects familiar to him from his formative years. 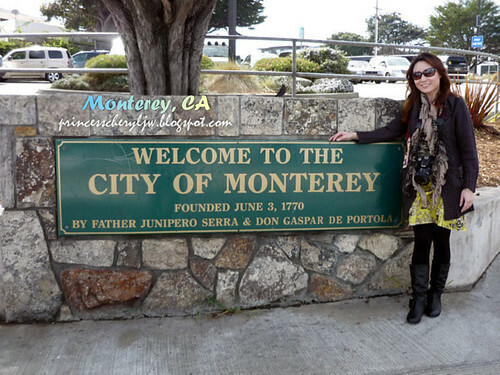 Coming up next... Sight-seeing around Monterey.